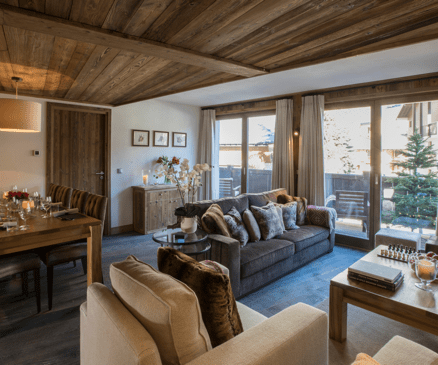 It is rare to find self-catered properties with such high standards in prime locations in Val d’Isère, or that are big enough to take larger groups. We offer a hand-picked selection of the best properties, and allow you more flexibility and freedom of choice to enjoy your holiday, your way. We provide a dedicated concierge service to help you organise all aspects of your holiday, so if there is anything you need arranged or any questions you would like answered this service is at your disposal before, during and after your stay. Spoil yourself and make every moment unforgettable. 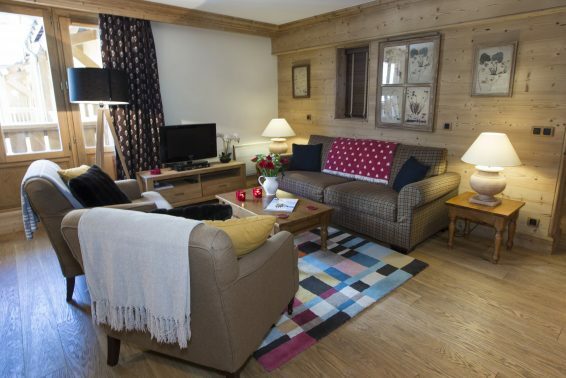 This beautiful Val d‘Isere apartment is the perfect place to kick off your shoes and relax. Live a luxurious mountain life, pad the heated floors, enjoy the Charlie Adam’s artwork, cook in the Joseph and Joseph appointed kitchen, or eat out in one of many gourmet restaurants nearby. 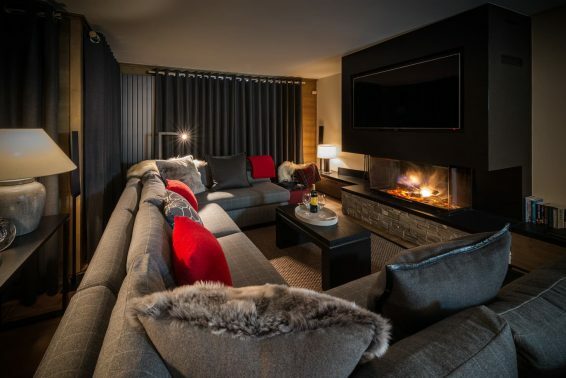 Sip wine, wrapped in sheepskins and tartan rugs on one of the two balconies, enjoy the views of the spectacular Val d‘Isere mountains. Snuggle up in front of the fireplace and watch the flames. 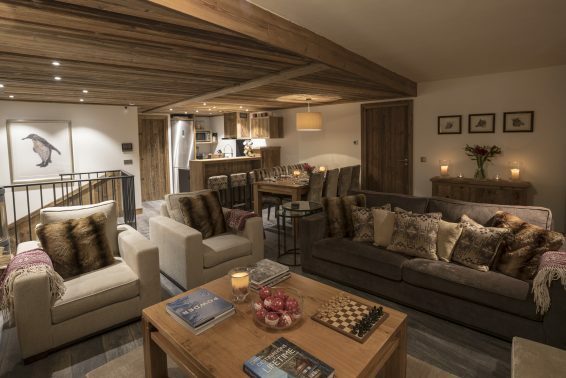 Chalet Choucas Noir is built by Parisian builders to the highest specifications and furnished by a top London interior designer in sumptuous contemporary and traditional chic. It is perfectly located, you walk out of the door and you are in the heart of Val d’Isere, with all the restaurants and shops at your feet. The slopes are also just a stone’s throw away, giving you access to the most amazing skiing area in France. 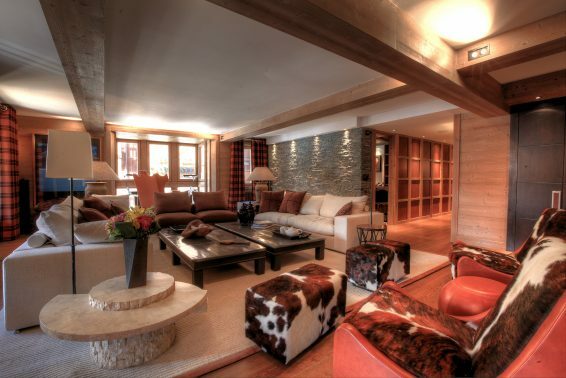 With its beautiful design and its breathtaking views it has everything you could ever desire from a luxury ski chalet.